Anthony McCall. “Split Second (Mirror)” (2018). Installation view, Sean Kelly Gallery, New York, 2018. Photograph by Dan Bradica. Anthony McCall. "Solid Light Works.” Exhibition view, Pioneer Works, Brooklyn, 2018. Photograph by Dan Bradica. Anthony McCall. "Swell" (2016). Installation view, Nevada Museum of Art, Reno, 2016. Photograph by Chris Holloman. Anthony McCall. "Face to Face" (2013). Installation view, LAC, Lugano, 2015. Photograph by Stefania Beretta. 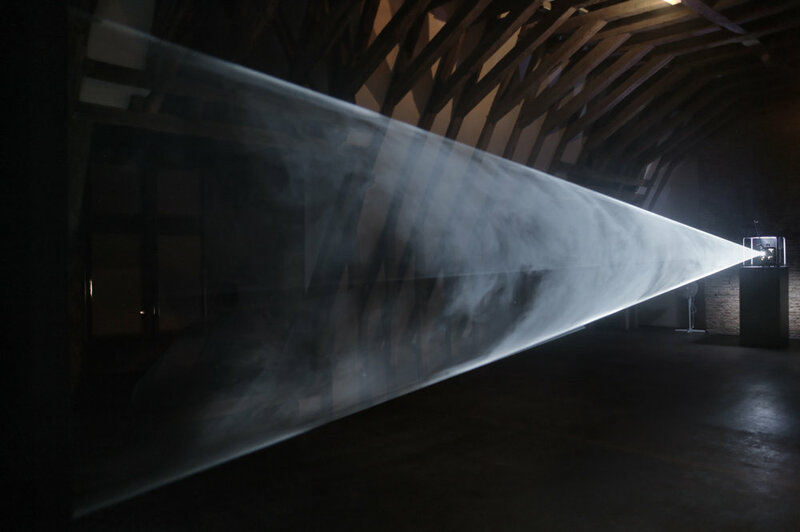 Anthony McCall. "Face to Face II" (2013). Installation view, Eye Film Museum, Amsterdam, 2014. Photograph by Hans Wilschut. 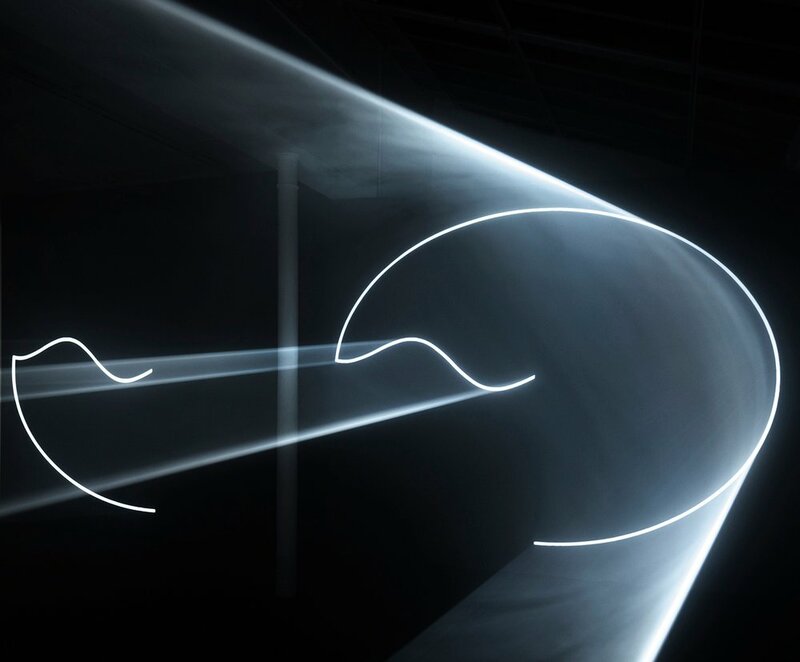 Anthony McCall. "Leaving with Two-Minute Silence" (2009). Installation view, Martine Aboucaya, Paris, 2016. 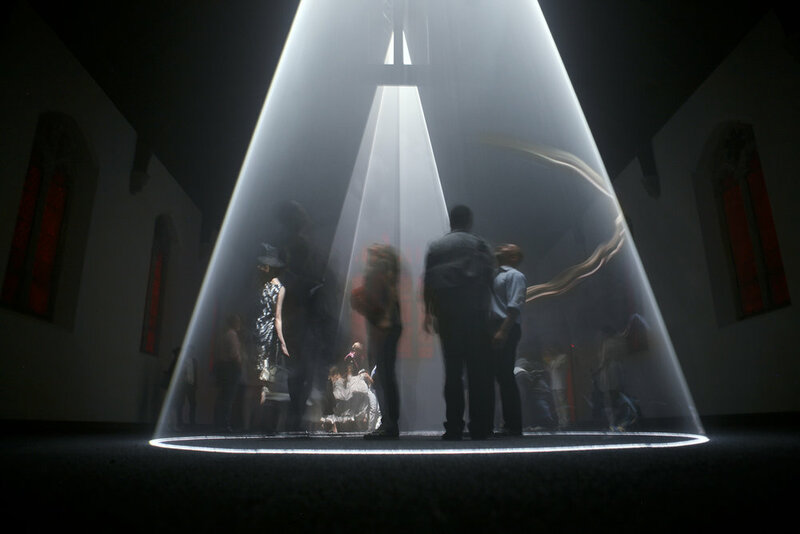 Anthony McCall. “Breath (II)" (2004). Installation view, Hangar Bicocca, Milan, 2009. Photograph by Giulio Buono. Installation view, Hangar Bicocca, Milan, 2009. Photograph by Giulio Buono. 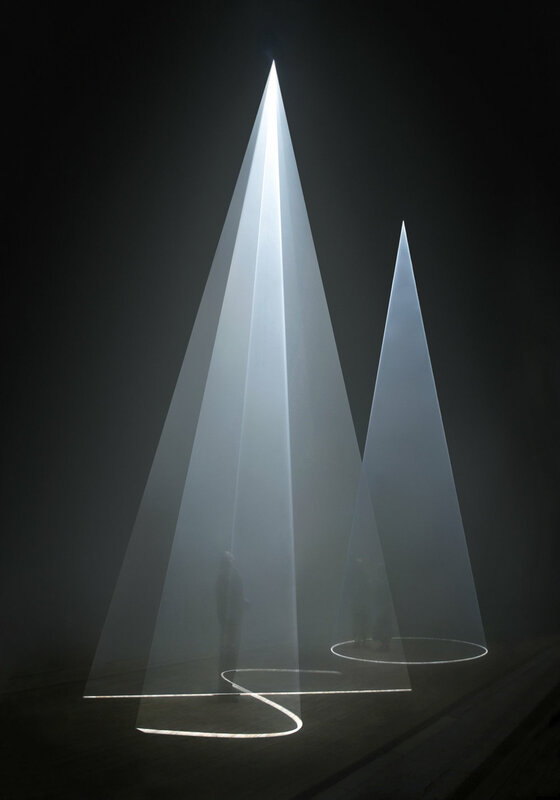 Anthony McCall. "Meeting You Halfway" (2009). Installation view, Hangar Bicocca, Milan, 2009. Photograph by Giulio Buono. Anthony McCall. "Meeting You Halfway" (2009). Installation view; LAC, Lugano; 2015. Photograph by Anna Domenigoni. 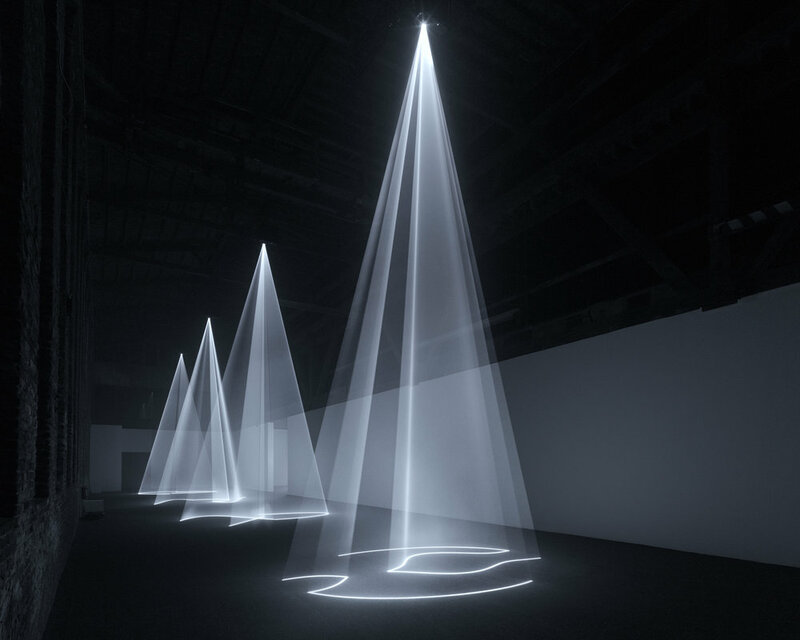 Anthony McCall. "Meeting You Halfway" (2009). Installation view at Hangar Bicocca, Milan, 2009. Photograph by Giulio Buono. 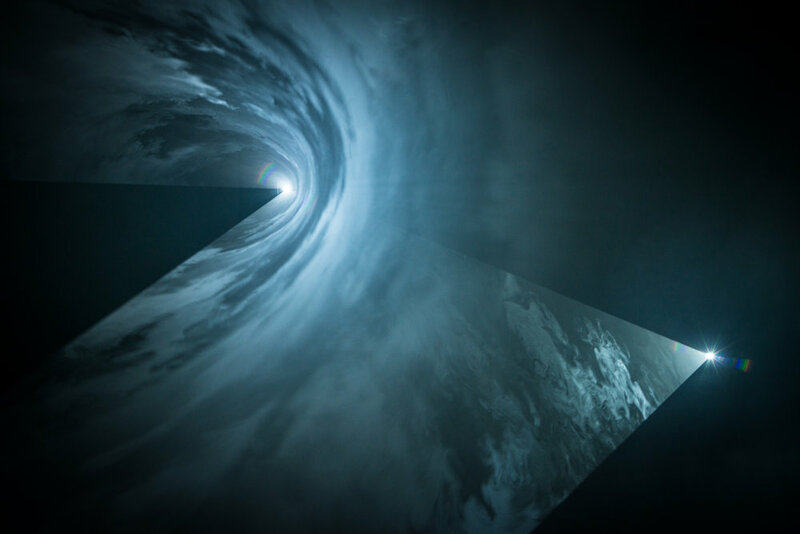 Anthony McCall. “You and I Horizontal” (2006). Installation view, Carnegie Mellon University. Photograph by Pablo Garcia. 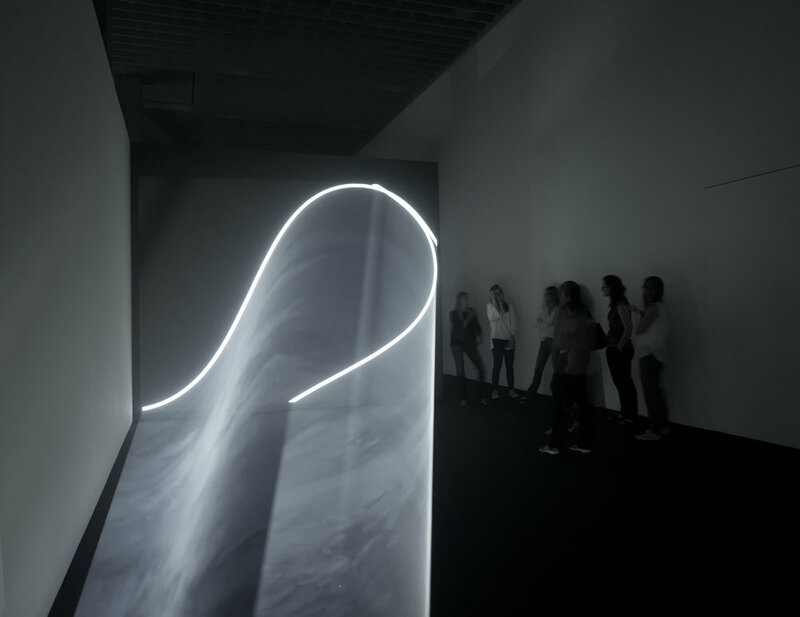 Anthony McCall, "You and I, Horizontal (II)," installation view, Contemporary Art Museum St. Louis, 2013. Photograph by David Johnson. Anthony McCall. "Between You and I" (2006). Installation view, Peer/The Round Chapel, London, 2006. Photograph by Hugo Glendinning. Anthony McCall. "Between You and I" (2006). Installation view, Creative Time’s 'Plot09', St. Cornelius Chapel, Governor's Island, 2009. Photograph by Sam Horine. 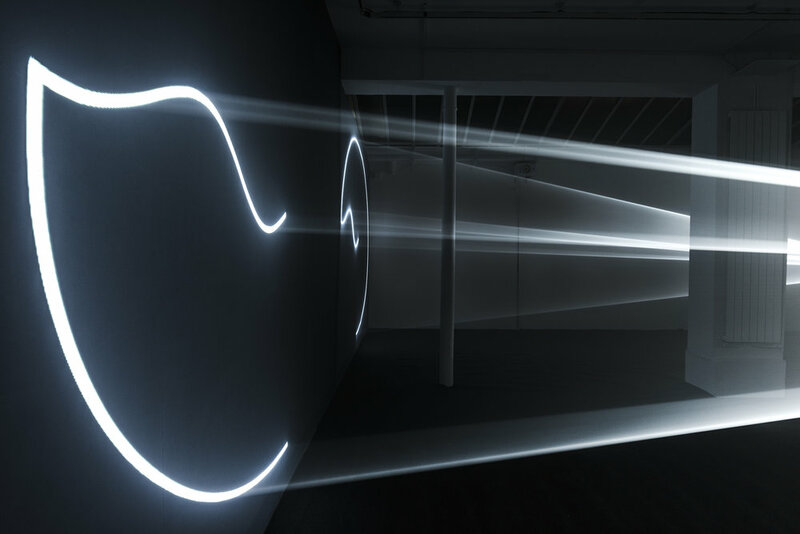 Anthony McCall. "Doubling Back" (2003). Installation view, Museo d'Arte della Svizzera italiana, Lugano, 2015. Photograph by Stefania Beretta. "Long Film for Four Projectors" (1974). Installation view, 2003. Photograph by Hank Graber. 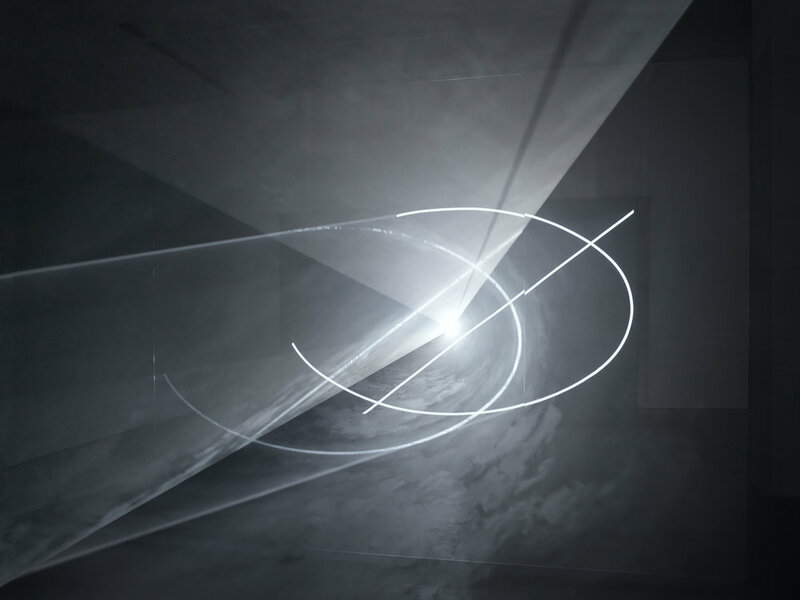 Anthony McCall. "Line Describing a Cone" (1973), during the twenty-fourth minute. Installation view, "Into the Light: The Projected Image in American Art 1964-1977", Whitney Museum of American Art, 2001. Photograph by Hank Graber. "Line Describing a Cone" (1973), during the twenty-fourth minute. Installation view, Musee de Rochechouart, 2007. Photograph by Freddy Le Saux.